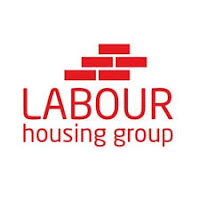 This is a model housing motion from London Labour Housing Group. It makes perfect sense to me. I have submitted to West Ham GC as a UNISON delegate. 1.That the number of households in London who rent from private landlords is up from 15% in 2000 to 27% in 2017 and that Shelter forecast that nationally this growth will continue. 2. The lack of security for private tenants causes unnecessary homelessness and makes it very difficult for private tenants to lead settled lives. 3. High rents in this sector cause hardship for tenants and leads to the taxpayer subsidizing private landlords via housing benefit. 4. Shelter believe that the reasons behind Labour winning in Canterbury and Kensington is due to the number of private tenants voting Labour ( the rentquake). 1. To hold a London wide campaign day in 2019 for Labour’s proposal to improve the private rented sector. 2. To produce campaign materials for constituency labour parties on the private rented sector. 3. To set up an on -line petition to call for an end to no fault evictions and rent controls for the private rented sector. 4. To produce guidance for all Labour Council Groups and constituency labour parties on how the Letting Fees bill currently in Parliament should be enforced by local councils. 5. To ask the London Mayor to produce a vision for the private rented sector in the capital and to make the reform of the private rented sector a key political issue in the manifesto for the 2020 London elections.